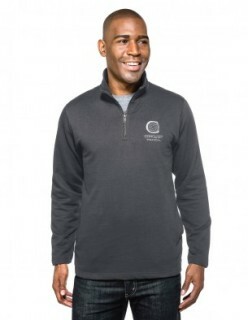 Mens 8.6 oz 60% cotton/40% polyester 1/4-zip pullover sweatshirt. Features a metal zipper, two side seam pockets and open cuffs and bottom. Half-moon back yoke.